Today’s consumers around the globe want to have a greater say about food ingredients, safety and quality. 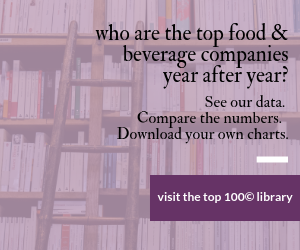 By the year 2020, they expect the way they choose and shop for food to be different, according to “Food 2020: The Consumer as CEO,” a study of 1,000 consumers in the U.S., the UK, Germany, Argentina and China conducted in July and August. Commissioned by Ketchum’s Global Food & Nutrition Practice and with help from Supermarket Guru Phil Lempert, the study examines perceptions, expectations and considerations about food now and into the future among consumers. It’s notable that some 67 percent of respondents say they want more consumer involvement in the amount of artificial ingredients/additives used; 53 percent want to give their take on the source of ingredients; and 58 percent want to be involved in deciding who should be responsible for food safety and quality. With the exception of China, only one-third or fewer consumers are interested in being involved in making food easier to prepare or shop for. Asked what their top priority would be if they were CEO of a global food company, 65 percent say improving human nutrition is No. 1. “Making food that is safer” is a close second (64 percent) and “making foods that taste great” came in third with 52 percent of the vote. Consumers around the world expect food companies to be responsible for their health and wellbeing, and this expectation will continue into the year 2020. Among all countries, 75 percent of consumers say they would like to see food companies place a greater emphasis on creating foods that reduce the risk of major health issues in the future. Taste (74 percent), quality (73 percent) and price (70 percent) are the top considerations in choosing foods – except in China, where health benefits (78 percent) are most important compared to 53 percent of other country respondents. In all countries surveyed, 63 percent of consumers want to be able to recognize all of the ingredients on a food label; and 34 percent want foods to be made with as few ingredients as possible. Consumers want food companies to take away the temptations that lead to obesity, but they don’t want to eat less. Overall, 45 percent think food companies should play a role in addressing obesity, with more than half of those in Argentina and the UK holding this view. And 63 percent of consumers believe food companies should help reduce obesity by decreasing junk foods; while just 21 percent think companies should reduce portion sizes to address this issue. Fifty-six percent think companies should help reduce the risk of major health issues and disease by making foods with more nutrients per calorie. Consumers in Germany and China are more likely to think food companies should try to reduce health risks by linking good food choices with lower health care costs. Forty-three percent (43 percent) believe the kinds of foods we eat in the year 2020 will be different than what we eat today; and 39 percent say the way we shop for food will be different. Concern about what’s on the label is highest in Argentina (73 percent) and ironically lowest in China (52 percent). Brands are losing their relevance (33 percent) – except in Argentina (45 percent) and China (45 percent). Brand name lags well behind factors such as quality, price, health benefits, value, convenience of preparation and, of course, taste. Consumers want local food, but they’re not willing to pay for it – in terms of either cost or taste. Two-thirds think at least some of their foods are from other countries, but just 17 percent say they “don’t care where food comes from” as long as it’s affordable and tastes good. Consumers in Argentina are most likely to care about food sourcing, with more than 60 percent disagreeing with the idea that taste and cost trump where food comes from, while consumers in China are the least concerned about sourcing, with at least 30 percent agreeing that they “don’t care where food comes from” as long as it’s affordable and tastes good. Consumers want food companies to help solve societal issues related to food and nutrition, and they are willing to pay for it – within reason. Globally, more than 40 percent say they would be likely to pay more for food if it would improve the quality of water and food and bring medicines to those in need. Consumers in China and Argentina generally are more willing to pay for food if it could help others around the world. While 78 percent say they would like to get their foods from local farms or companies by the year 2020, most expect even more of their foods will come from other countries by then – with 34 percent expecting “most” or “all” of their food to be imported by 2020, compared to 21 percent who think “most” or “all” of their food is imported today.